National Memory on International Stages: The Reinterpretation of Site-Specificity in Guillermo Calderón’s Villa + Discurso. Alexandra Ripp in discussion with the artist. 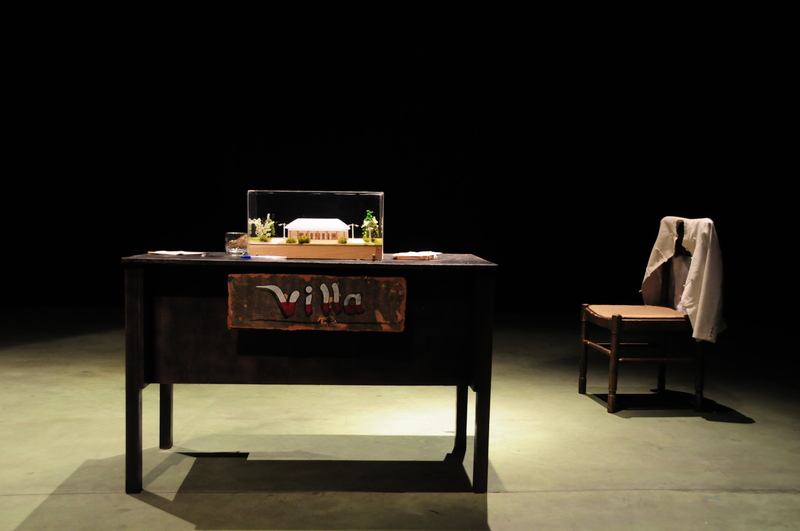 In 2011, Chilean playwright-director Guillermo Calderón wrote two companion plays, VILLA+DISCURSO, which together consider how the country should—or could—memorialize the brutal dictatorship (1973-1990) whose unresolved legacy persists. Calderón wrote these to be performed at Chilean ex-torture centers and the Museum of Memory, in order to encourage critical consideration of official memorialization in situ, but subsequent U.S. and European stagings have occurred in theaters, lecture halls, and gallery spaces. While the themes of fractious collective memory and the delicacy of violent pasts resonate outside Chile, could the missing site-specificity detract from the plays’ power and even dramaturgy? How does the international touring of site-specific theater “work” when the work is bound up with national memory? Alexandra Ripp will introduce the plays and critical considerations of these questions, before entering in dialogue with Calderón himself about his own perspectives and experiences. 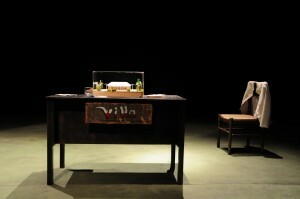 Guillermo Calderón (Director, Playwright) is Chile’s foremost contemporary theatre artist. His plays include Neva, Diciembre, Clase, Villa, Discurso,Quake, School and Kiss. Calderón’s productions have toured extensively through South America and Europe. Festival stops include Buenos Aires International Theatre Festival, Chekhov Festival (Russia), Edinburgh International Festival, Festival d´ Automne (France), Santiago A Mil (Chile), Seoul Performing Arts Festival (Korea), TEATERFORMEN Festival (Germany), Wiener Festwochen (Austria), World Theatre Festival (Belgium). The Public´s Under the Radar Festival, and RADAR L.A. The English language version of Neva had its US Premiere at The Public Theater in 2013; a subsequent production toured to South Coast Rep, Center Theatre Group, and LaJolla Playhouse. He has been commissioned by the Düsseldorfer Schauspielhaus (Germany), the Royal Court Theater (England) and the Public Theater. His co-written screenplay Violeta Went to Heaven won the World Cinema Jury Prize for Drama at the 2012 Sundance Film Festival. He also co-wrote The Club, winner of the Silver Bear at the Berlinale in 2015.Villa and Speech were published in Theater Magazine (Yale and Duke). Alexandra Ripp is a DFA candidate in the department of Dramaturgy and Dramatic Criticism at Yale School of Drama, where she is writing a dissertation on post-dictatorship Chilean theater and memory politics. She is former Associate Editor of Theater Magazine and is the current Ideas Program Manager at the International Festival of Arts and Ideas in New Haven, programming the Festival’s annual series of lectures and panels. Her writing has appeared in Theater Journal, Theater, and PAJ. She is also a translator of Chilean plays, providing subtitles for the U.S. tours of Trinidad González’s The Meeting (2014-15), Guillermo Calderón’s Escuela (2015-2016) and Teatrocinema’s Historia de Amor (2016).